Grangers interested in growing and evolving the organization should take heed instead of finding fault, and then dismissing a new idea. Give new ideas a chance to mature and evolve. They may surprise you. First of all, Listen. Don’t be one of those Grangers who think they must have all the answers. Don’t be the person who is waiting for a break in the conversation to insert what he or she wants to say next. Instead, listen carefully and deliberately. Put judgment aside and just take in the ideas you hear. Give it time to sink in and see if there is a place for this idea or a form of it. Remember, it is important to the person that is giving the idea! Second, ask a Question. There is no quicker way to extinguish the potential of a new idea than by making a statement instead of asking a question. Positive or negative statements can have a nullifying effect. By judging new ideas as good or bad cuts short any prospects of idea evolution. Ask questions that encourage input, accountability, and analytical thinking. You want to show interest and make sure the idea has been thought out fully. And last, you want to Clarify. Clarify, don’t assume. Double check that what you hear is what is being said. Sometimes we automatically assume that we know why the person is presenting the new idea because of the context of the discussion before the idea was presented or because of the person’s past ideas. We need to make sure that we fully understand the idea as the presenter intended. New Ideas are what bring freshness to our Granges and keep us from doing the same old things. Even old ideas need to be revised from time to time with new ideas on how to make them better. New ideas and new members go hand in hand. With new ideas, Granges become more appealing to new members and new members will always come with new ideas. 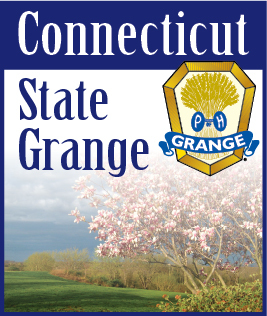 So, let’s give them both a chance to help us grow the Grange.